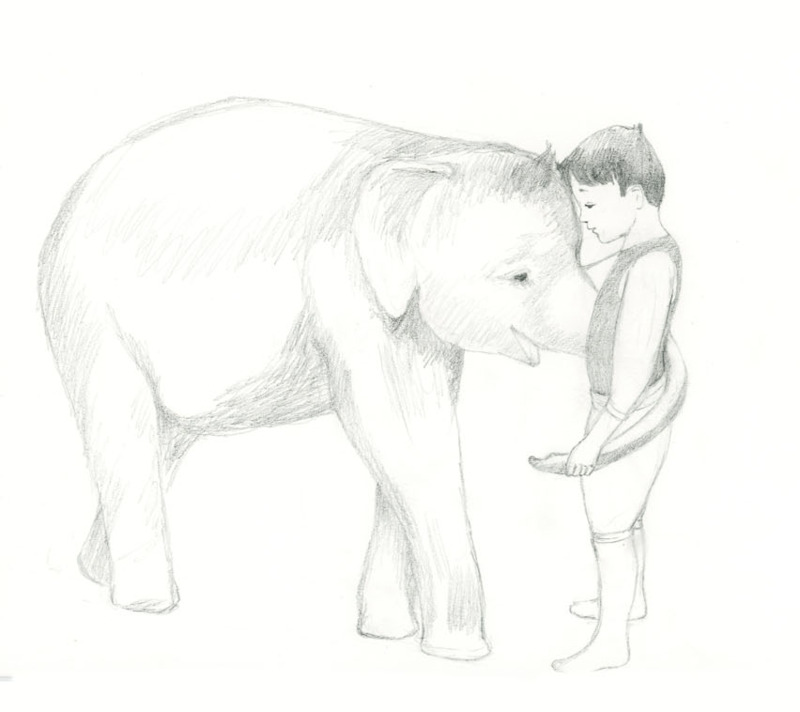 I've been working on the illustrations for 'Shanti' whenever our little boy gave me a chance. Altough I had made such a great checklist, I've been working quite disorganised. Some sketches are still in their early stage, while some others are nearing completion. Below you can see an example of how I am making progress. These little monkeys are the co-stars of the story. They have their own little world where they are doing nutty things and they add an extra dimension to the illustrations.